One successful technique in mobile app development is gamification. Gamification applies game-design thinking to non-game applications to make them more engaging and fun. Fitocracy has taken the gamification concept and applied it to their mobile app to take your fitness routine to another level! With Fitocracy you track your workouts to earn points which unlock achievements. When I went into this app for the first time it helped me to not only set up my profile with my personal fitness info (height, weight, age, etc) but it also had a pretty nice little tutorial which guided me through the app. I will admit I needed this tutorial as the app was a touch confusing at first. Once I started exploring the app it all became much clearer! One of the cool things about this app is that you can build your workout. It has hundreds of exercise to chose from which include a detailed description and a nice quick video demonstration. Once you complete the exercise you record how many reps you completed and enter in the weight of your dumbbells (dependent on the exercise of course). You will level up with points from completing the exercises. When I finished my first workout (which was a 60 minute 5km walk) I received 113 points for and 1 Quest. Another way this app keeps you engaged is by adding a social element to it. You can share your progress through the app with other “Fitocrats” or through your own social media networks like Facebook. Overall this is a nice little app that will keep you motivated to get or stay in shape! What a handy (and surprisingly fun!) app! Cardiio measures your heart rate by simply placing your finger over the camera! The app will then give you insight into that your heart rate numbers mean. Cardiio will also tell you what your fitness level is based on your heart rate and you can calculate your endurance score. A cute little surprising feature was the fun facts that popped up while the app was taking your heart rate! It takes about 10 seconds for the app to produce your heart rate and during that time it shows you about 5 interesting facts about you heart and heart stats across the globe. Definitely a handy app to have on hand to make sure your ticker stays in tip top shape! 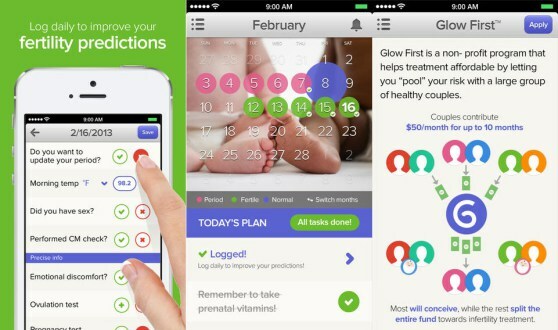 Glow is a tracker for your menstruation and ovulation cycles. Glow takes a woman’s menstrual cycle and gives accurate, personalized predications of the their most fertile window and future period dates. Glow can help you avoid pregnancy, prepare for pregnancy and of course help conceive by predicting exactly when ovulation will occur. The app has nice little reminders and fun suggestions to help improve reproductive health nd fertility. A really nice feature is the ability to print off your historical data for your doctor. This app also has a great tutorial when you set up your profile for the first time. For those trying to conceive I would definitely recommend this helpful and thoughtful app. Hope you enjoyed these three health-related apps! 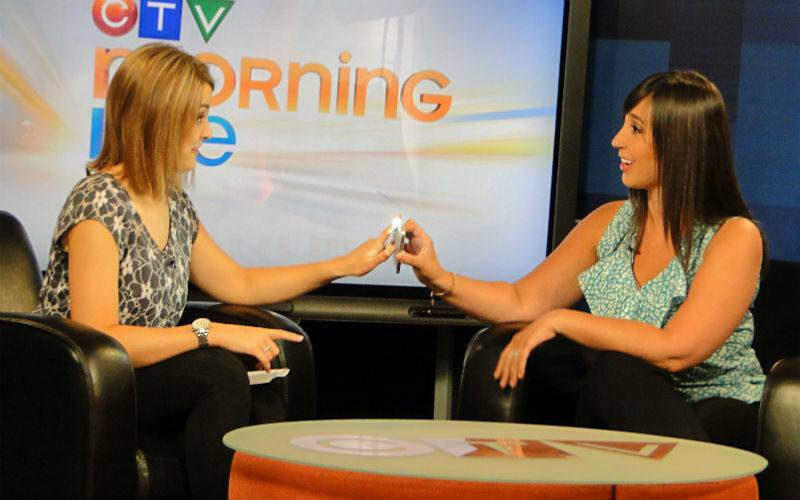 Stay tuned for our August App Segment on CTV Morning Live!